\\\\\\\\\\\\\\\\\\\\\\\\\\\\\\\\\\\\\\\\\\\\\\\\\\\\\\\\\\\\\\\\\\\\\\\\\\\\\\\\\\\\\\\\"Most Americans see retirement as a certainty. The problem is too many older Americans have not saved enough and too many younger Americans start too late. Mark Bruno's Save Now or Die Trying provides an actionable wake-up call for some and an important jump start for others.\\\\\\\\\\\\\\\\\\\\\\\\\\\\\\\\\\\\\\\\\\\\\\\\\\\\\\\\\\\\\\\\\\\\\\\\\\\\\\\\\\\\\\\\"
You could work until the day you die. Or you could start saving just a little bit right now and actually enjoy a real retirement. You make the call. No one is picking up the tab for our retirement, no matter how many decades away it may be. The way we retire has changed, but we still have time to potentially be more secure in our retirements than any other previous generation―but only if we buy into the financial realities of our retirement right this second. With Save Now or Die Trying, you'll discover a number of retirement savings options that could net hundreds of thousands of dollars for your retirement, if you begin using them while you're still young. Written in a straightforward and accessible style, this guide will show you how to take full advantage of the most important elements of the retirement planning process―time and participation. Through practical profiles of young adults dealing with difficult financial situations and detailed discussions with scores of financial advisors about the various options available for building long-term wealth―from IRAs to 401(k)s―you'll quickly learn how to overcome the challenges of successfully saving for retirement. 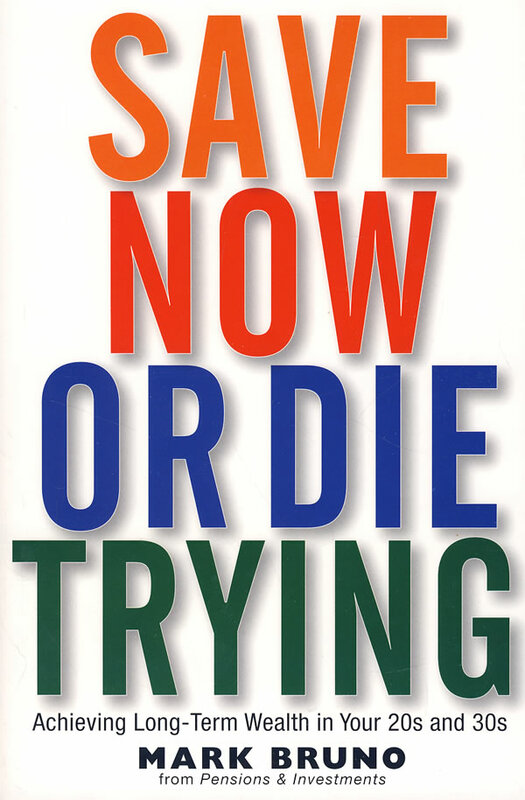 Whether you're just out of school or just starting a family, Save Now or Die Trying will show you how a little commitment today can translate into significant financial stability tomorrow. Mark Bruno is a reporter for Crain's Pensions & Investments, the largest and most credible publication in the retirement industry for the last thirty years. He has covered money management and retirement issues for Pensions & Investments, and has served as both a writer and editor for a wide range of investment and financial newspapers and magazines. Born in New York in 1977, Bruno earned his degree in English and American literature from the University of Maryland in 1999. He currently resides in New York City.